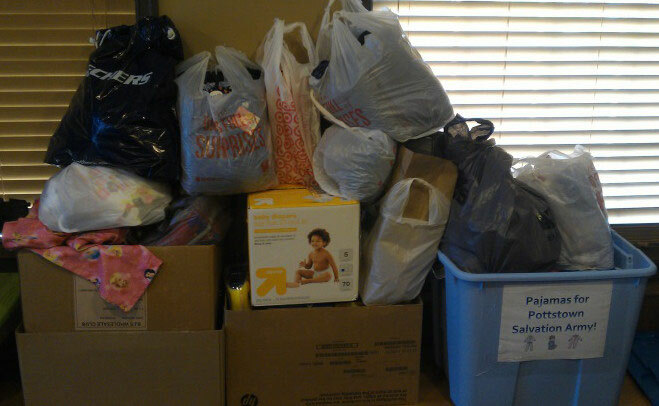 Thank you to everyone for your participation in our KidZone pajama collection for the Pottstown Salvation Army Shelter! The response from Daybreak was unbelievable! Organizer Jen Basom said her backseat and trunk were packed full with pajamas and other donations! The staff at the shelter were thrilled with all of the donations and look forward to sharing them with the residents at Christmas! Thank you for your support and thoughtfulness!